Memphis United volunteer attorney Cassie Ford talks to children from the Memphis Ambassadors program at Lindenwood Christian Church on July 21, 2016. 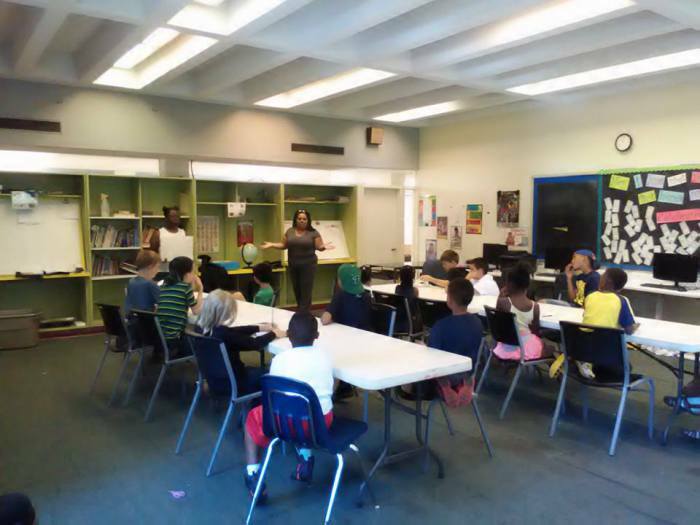 Over this summer, we facilitated 30 Know Your Rights Theatre workshops with hundreds of young people across the city of Memphis. These free workshops educate young people about their rights and demystify encounters with law enforcement. By teaching young people how to safely and respectfully interact with police, our programming makes our community safer for both civilians and police. And unlike traditional education that lectures students but does not engage them, Know Your Rights Theatre lets students participate in the lesson, which makes them want to learn and helps them retain what they learn. How do we know Know Your Rights Theatre works so well? We have gathered more than 600 evaluations by young people aged 5-19 who participated in our workshops. We hope to expand this programming into the fall. Please contact us to schedule a workshop for your organization. Memphis United is a project of the Mid-South Peace and Justice Center. 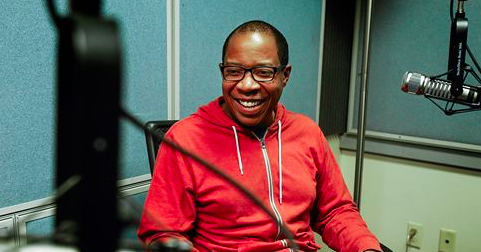 To sustain our work, please click here. 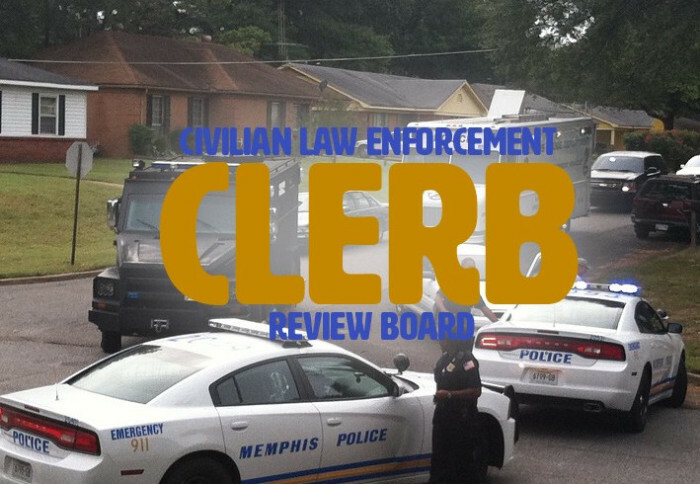 This week, Memphis United mailed 176 letters to people the City of Memphis referred to the Civilian Law Enforcement Review Board between 2011 and 2013 — when the board did not exist. There are more individuals who we will contact in the coming weeks. These individuals are part of a larger “backlog” of people the city referred to a nonexistent board. All of these people deserve a fair shot at justice. That means having a CLERB with the power to hold law enforcement accountable; that means subpoena power. Last year, Memphis United won our campaign to reinstate the board and strengthen it with a subpoena process. But now the subpoena process is in danger of being removed through a substitute ordinance by Councilman Worth Morgan. We’re asking people to contact their City Council representatives — in particularDistrict 5 Councilman Worth Morgan, Worth.Morgan@memphistn.gov, (901) 636-6786) — and tell them that taking the time to understand the language of the ordinance is worth it to ensure that CLERB has the power to hold law enforcement accountable. Memphis United is MSPJC’s criminal justice reform project. Our victories include the reinstatement of a civilian law enforcement review board. But we need your help. Please click here to sustain our work toward law enforcement accountability. Thanks to our brave tenant organizers, Global Ministries Foundation may finally be held accountable for the unlivable conditions of its subsidized housing properties. S&P Global ratings reviewed GMF’s 2014 and 2015 financial statements and its housing portfolio. The findings of this review prompted the agency to downgrade ratings on 23 GMF bonds including those for Goodwill Village, Serenity Towers, and Madison Towers. This is the second time this year S&P has lowered ratings on GMF’s bonds. S&P also said GMF’s financial position will likely get worse considering the need for substantial repairs at so many complexes. The ratings agency conducted its own site review at several GMF properties and noted poor conditions at a number of locations. Just last week, the bank that serves as the trustee for bondholders filed a lawsuit against the non-profit in federal court. Senator Marco Rubio visited GMF’s troubled Eureka Gardens in Jacksonville, Florida and called for a criminal investigation. “We are glad to finally see some badly needed oversight and accountability. But we all know that Global Ministries Foundation is the tip of the iceberg of an entire system of corruption within the site-based Section 8 housing network,” said Mid-South Peace and Justice Center Executive Director Brad Watkins. “We need several things. From HUD, we need increased oversight and more diligent inspections. Further, we need a renewed investment in the capacity of local code enforcement and a robust tenants’ rights and organizing movement. We are in this for the long haul. But sadly, there are many more Richard Hamlets out there,” Watkins said. While we applaud recent legal actions against GMF, we know that none of this would have happened without the work of our brave tenant organizers at Warren, Tulane, and Serenity Towers apartments. Please support our Tenants Rights Project here to ensure that this work continues. Our Ashley Caldwell attended the Civilian Law Enforcement Review Boardmeeting at City Hall. A large portion of the meeting focused on how the board members did not understand the ordinance. There was back and forth dialogue about whether or not the board had subpoena power. The board also presented a packet of emails from July 2015 between then- City Councilman Alan Crone and City Council attorney Allan Wade, and were confused as to how the ordinance was passed granting them subpoena power even after Wade presented information proving subpoena power not to be possible. Even after reading the section of the ordinance outlining their powers, they were still confused. Following the subpoena power discussion, the board discussed an issue brought forth by the Commercial Appeal last month, that their confidential deliberation may put them in violation of the state’s Sunshine Law. To briefly sum it up, this law requires that any meeting containing more than one city appointed or elected official to be open to the public and the press. As the CLERB members are appointed by the city, the newspaper may be on to something. There is a clause in the CLERB ordinance that allows the board members to deliberate privately or close the meeting by a unanimous vote from the board members if the situation calls for confidentiality or the case pertains to sensitive information. The board discussed whether or not this still put them in violation of the Sunshine Law. From these two conversations is where the big and somewhat frightening news derived. Apparently, Councilman Worth Morgan told the board last month that due to confusion about whether the board is operating unlawfully under the Sunshine Law and if the ordinance wrongfully allows the board subpoena power, there is talk among some City Council members of amending the CLERB ordinance and creating a new ordinance themselves. We probably don’t have to tell you how dicey this may become if the Council moves on this, or that it could result in an ordinance not reflecting the will of the public, which we collected in the first stage of our CLERB campaign. Aside from all the confusion, CLERB wrapped up their first case. The board voted to sustain the findings of MPD Internal Affairs. Their reasoning: there was information impossible to discover from all the evidence, and the hospital records state that no injuries (not even bruising or swelling) were observed on the complainant. They did decide to recommend a policy change to Juvenile Hall to prevent situations like this from happening in the future. CLERB investigator Arthur Robinson announced that CLERB’s independent website is in the process of being built now. Also, the CLERB members are scheduling ride-alongs and civilian police academy training. And in another bit of good news, CLERB members attended an executive meeting with all of MPD’s top brass. At this meeting, Interim Police Director Mike Rallings told the board members that he looks forward to working with them and does not see them as adversarial. Furthermore, Rallings agreed to provide the board a copy of MPD’s policy and procedures manual. As you can see, we are going to have some work to do with the board to keep it on the path intended by the grueling process of amending the ordinance, but this will be manageable. We will never shy away from advocating for the rights of the people. Please help us continue our criminal justice reform work by supporting the Mid-South Peace and Justice Center today. Remember when we first raised the issue of Global Ministries Foundation being slumlords and criminals, and “respectable people” chastised us and debated if this was true? They’re silent now, but the same can’t be said for the attorneys taking GMF to task. As the Commercial Appeal reports, the Bank of New York Mellon Trust has asked a federal judge in Memphis to strip GMF of control of Warren and Tulane apartments. Attorneys for the bank accused GMF of allowing the property to fall into a state of disrepair to the point of not meeting basic standards, according to the motion filed in U.S. District Court on Friday. Attorneys also accused GMF of failing to alert bondholders of the notice of default the U.S. Department of Housing and Urban Development issued over nine months ago. The bank indicated in court records it found out about HUD stopping federal subsidies for the property from the federal housing agency, not from GMF. The bank’s motion also suggests GMF may have committed fraud. 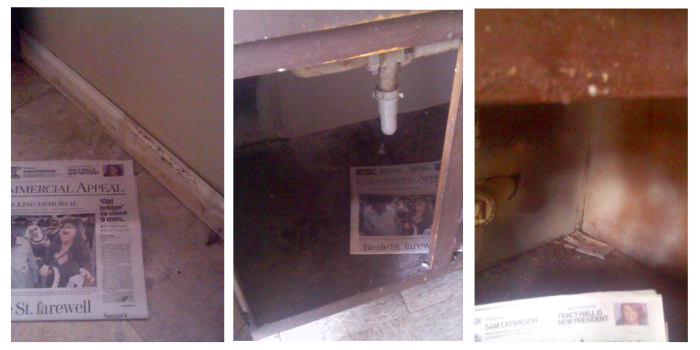 The article also quotes our brave tenant organizer Cynthia Crawford who faced retaliation by GMF after she spoke out. Crawford said she welcomed the idea of having someone new in charge of making repairs and ensuring tenants aren’t living in squalor. While we are pleased to see action finally taken against GMF, we know that none of this would have happened without the work of our brave tenant organizers. Please support our Tenants Rights Project here to ensure that this work continues. More than 750 subsidized housing families – as many as 2,000 people – are expected to be displaced in Memphis by Sept. 1. Those are families now living in Foote Homes, the city’s last public housing project, scheduled to be razed, and the Warren and Tulane apartments, whose owner lost HUD funding. Where will they go? Is there enough livable and affordable housing for all of them? “If this is not handled properly, we could have a serious housing crisis,” said Brad Watkins, executive director of the Mid-South Peace and Justice Center. Watkins has become the community’s leading advocate for subsidized housing residents. He was instrumental in efforts to get the city, state, and federal officials to examine Global Ministries Foundation, which owns Warren and Tulane. Support our Tenants Rights Project here. The Clean Neighborhoods Act was passed by the Tennessee legislature in 2010 and signed into law by former Governor Phil Bredesen. This law would allow community organizations, schools groups, church groups, and other groups of people to contract with the city and county for the mowing of grass and removal of trash from vacant properties. Imagine what a boon this could be to grassroots and neighborhood-level groups operating in our community? Further, by allowing people in their own communities to earn income from eliminating blight, this law could take tax dollars out of the hands of dubious contractors and put that funding directly into the communities that need them. When combined with our Juvenile Justice Project, the Clean Neighborhoods Act could pave the way for a neighborhood-driven jobs program for our youth. While the Clean Neighborhoods Act is state law, neither the Memphis City Council nor the Shelby County Commission has passed the simple resolution needed for local activation of the law. It’s time we made this happen. Global Ministries Foundation will sell several properties throughout the Southeast including Warren, Tulane, and Goodwill Village. Those who seek to purchase these properties should be ethical landlords or, like Global Ministries, they will be held accountable. 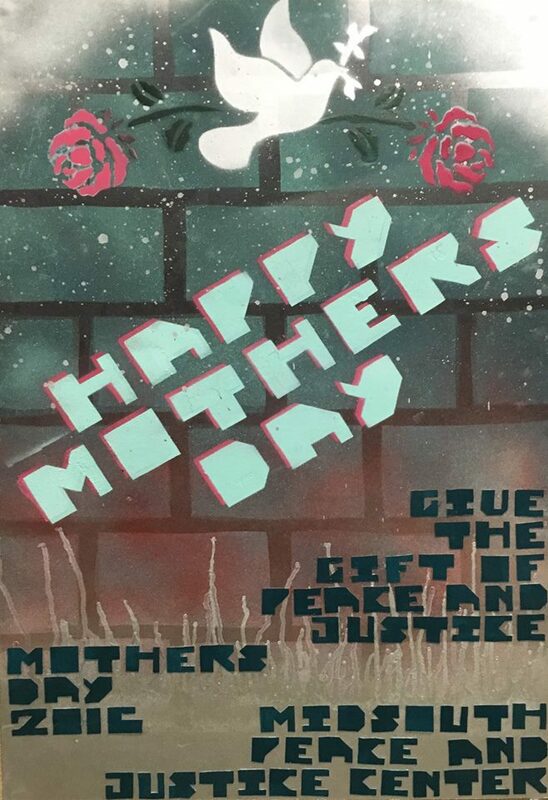 Today we will honor mothers in our community whose loved ones have provided a tribute gift that honors their mother and continues the work of the Mid-South Peace and Justice Center in our community. 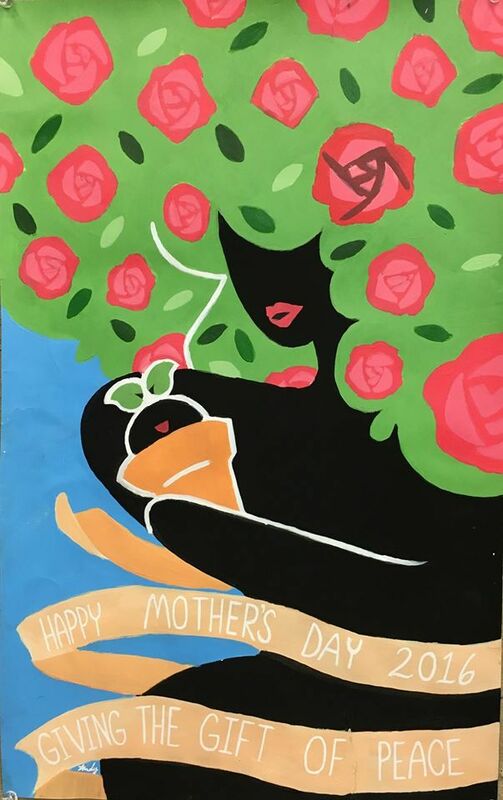 Mother’s Day began as a call to action to improve the lives of families through health and peace. Ann Jarvis of Appalachia founded Mother’s Day in 1858 to promote sanitation in response to high infant mortality. After the Civil War, abolitionist Julia Ward Howe made a Mother’s Day call to women to protest the carnage of war. Thank you to all the mothers out there! For the past few months, we have been in communication with tenant leaders at the Warren Apartments Tenants Association about a growing cause of concern. The utility subsidy that many residents use to pay their Memphis Light, Gas, and Water (MLGW) bills was disrupted last month. Normally, checks arrive between the first and the 10th of the month. However, over the past two months there have been “hiccups” in the disbursement of these checks to tenants, with March’s subsidy arriving on April 8 and April’s subsidy arriving just two weeks ago. As allies of these tenants, our chief concern is that these delays can and have resulted in tenants being late paying their MLGW bills. This could damage their credit scores and could create undue hardships during this already difficult process of securing alternative housing within the timeline given. The Mid-South Peace and Justice Center has reached out to Congressman Cohen’s office as this matter relates to HUD, and we thank his staff for their quick response. Today, we have been in contact with MLGW and have learned some good news. MLGW will waive any negative credit reports for residents in this program for the past two months. We are working diligently to provide MLGW a complete list of affected tenants as soon as possible. We would like to thank Paul Young with Memphis Housing and Community Development and Clint Richardson with MLGW for their prompt attention to this matter. Our important work cannot continue without your help. Please support our Tenants Rights Project here.